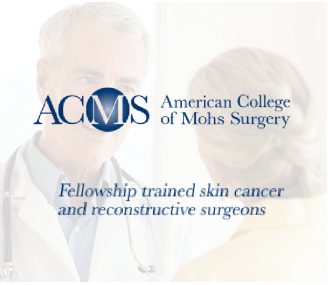 Mohs micrographic surgery has come to be known as the single most effective technique for eliminating the two most common types of skin cancer: basal cell carcinoma and squamous cell carcinoma. It spares the greatest amount of healthy tissue while almost completely removing cancer cells. However, it can leave a disfiguring hole in your face because of the tissue loss. This is where Mohs reconstruction comes in. 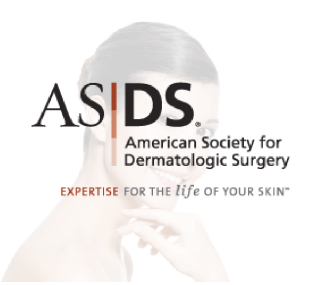 Facial plastic surgeons are often asked to repair defects caused by Mohs surgery. Dr. 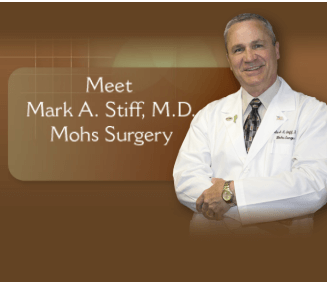 Stiff of the Skin Cancer Center of Southeast Michigan can repair Mohs defects with Mohs reconstruction. He is highly qualified, having completed three years of intensive surgical instruction with a focus on plastic surgery at the Akron General Medical Center. He also worked with Dr. Mohs himself during his fellowship training at the University of Wisconsin. Mohs reconstruction provides speedy resolution and rapid recovery. Several sessions may be needed in order to repair the tissue, but once the process is complete, the road to recovery is speedy. Depending on the size of the wound, we may allow it to heal on its own or it may require surgical repair. Whatever is needed, the Skin Cancer Center of Southeast Michigan is prepared to determine the most practical method of treatment. There is no need to consult with a plastic surgeon before or after your surgery. At the Skin Cancer Center of Southeast Michigan in Southfield, you can get your skin cancer treatment and reconstruction all in the same place and by the same doctor! Facial defects caused by Mohs surgery can be emotionally trying. Everyone wants to look their best, especially after being treated for cancer. With Mohs reconstruction, your face can be restored to normal, and you will feel good about your appearance again. You will rest easy knowing that you are being treated by a compassionate, highly trained, highly certified staff. You will feel comfortable at our office as our staff ease your worries about your treatment and reconstruction. Once your treatment and reconstruction are complete, we will educate you on methods to avoid getting skin cancer in the future. We recommend regular self examinations to keep an eye on your skin for further abnormalities. Skin cancer that is caught early is more treatable than if left alone for too long. Mohs surgery involves removing skin layer by layer and peering at it under a microscope. If there are cancer cells in the layer, another layer is removed. If no cancer cells are present, the surgery is complete. Mohs reconstruction can often be done in the same day as Mohs surgery, but multiple sessions may be needed for the best results.